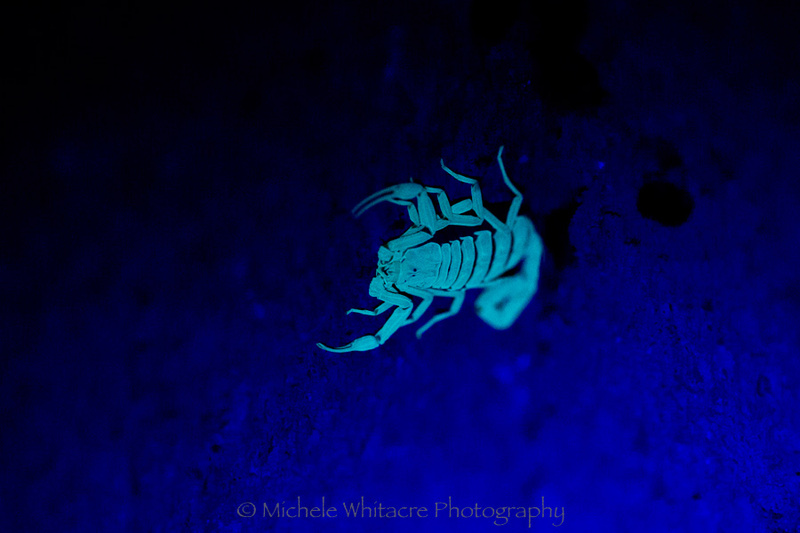 Several years ago I rented a macro lens just for kicks and had a lot of fun experimenting with it. However at the time I saw no reason to own one, not to mention that I didn't love the one I rented, so I wasn't tempted to rush out and purchase it. Fast forward a few years and I found myself dipping my toes into the waters of wedding photography and I was in need of a macro lens to do ring shots. Several wedding photographers I know swear by the Canon EF 100mm f/2.8L IS USM. They said that it was amazing for ring shots, but it also doubled as a good portrait lens, so I decided to trust their judgement and purchase it. 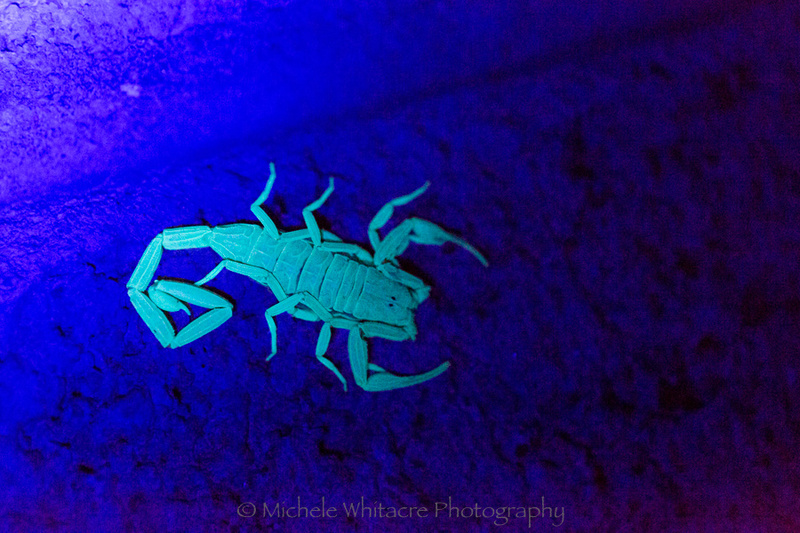 I did a little practicing with it on our wedding rings, and then used it for the few weddings that I photographed. However, I quickly decided that wedding photography wasn't my thing, and I just never fell in love with it as a portrait lens. So, I've intermittently considered selling it. Now that I've decided to begin exploring some other areas of photography, I'm happy that I held on to it because I can see myself getting into taking macro shots. 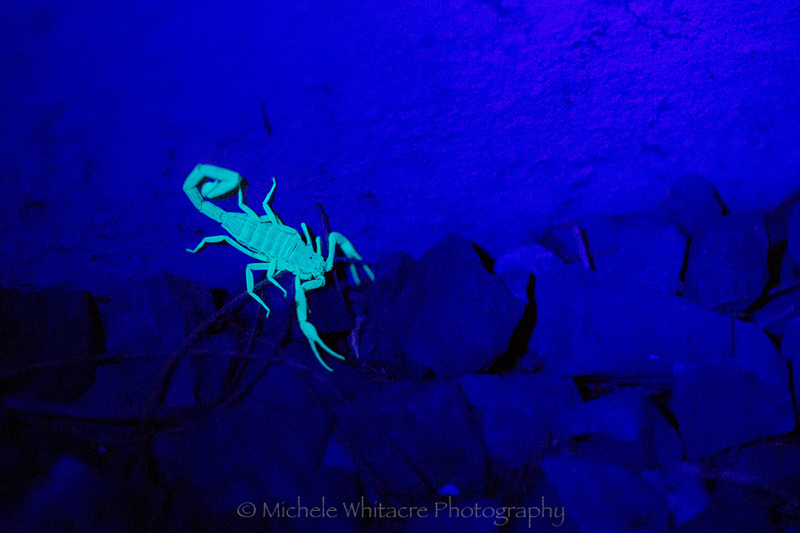 I decided to make a date with the lens last week to try my hand at taking some night shots of scorpions. 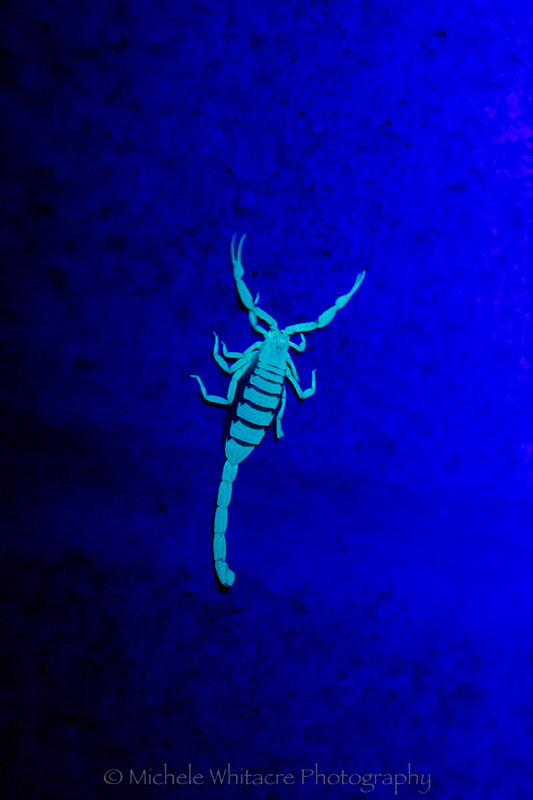 Ever since I learned that I could use a blacklight to see scorpions at night, I've wanted to take some photos of them - but of course I never took the time to actually do it. 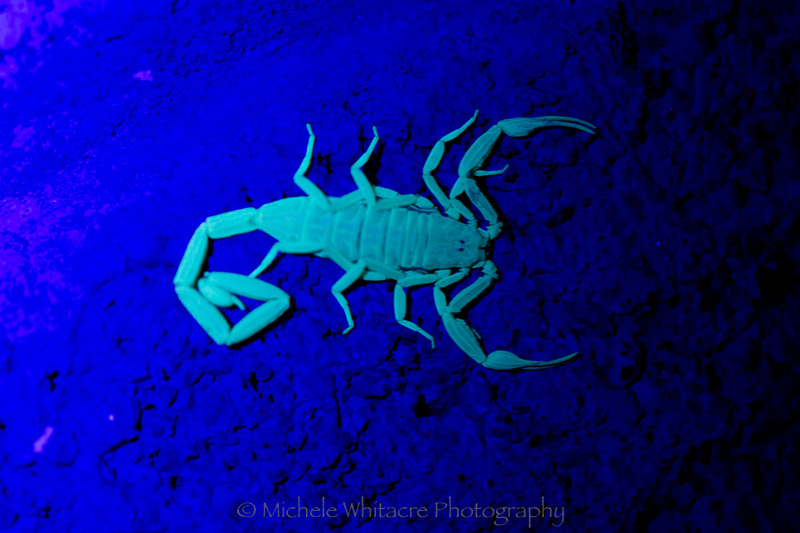 Until now that is - I went out a few nights last week to see if I could find any scorpions to photograph. 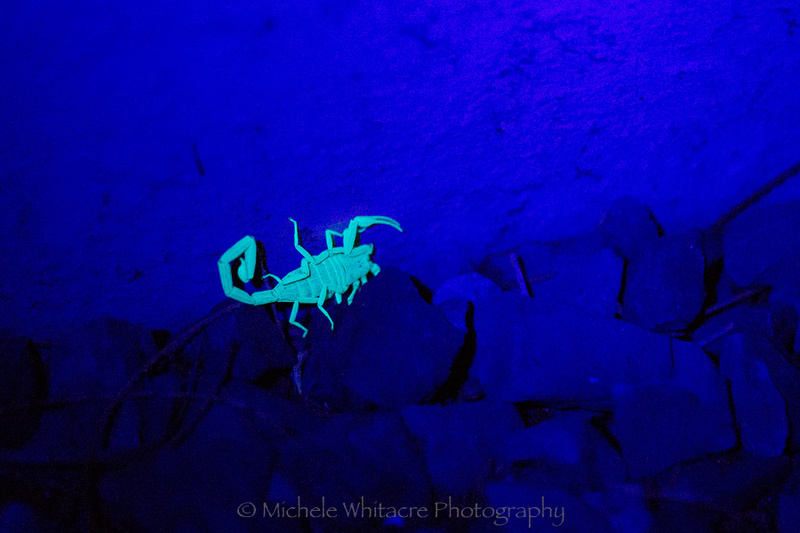 Sadly, we do have a lot of scorpions where we live, so it wasn't too hard to find some hanging out in our yard. I apologize to anyone who is creeped out by these. 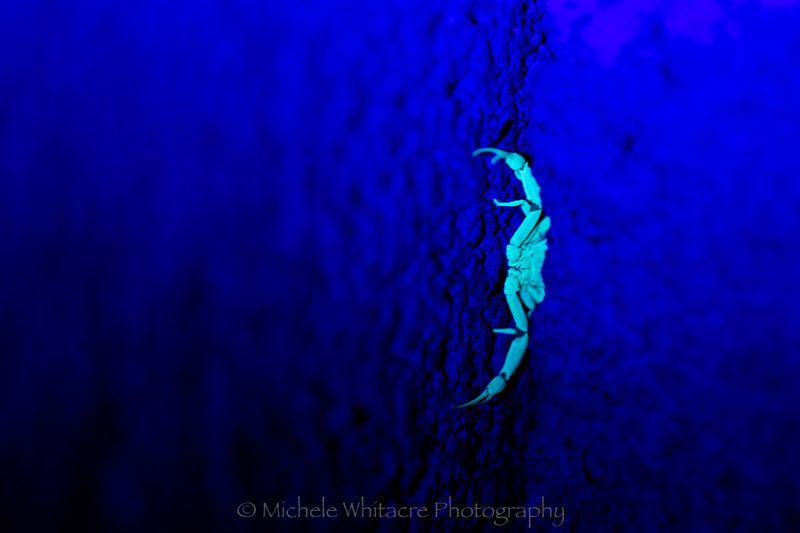 I promise there won't be very many images like this on the blog! 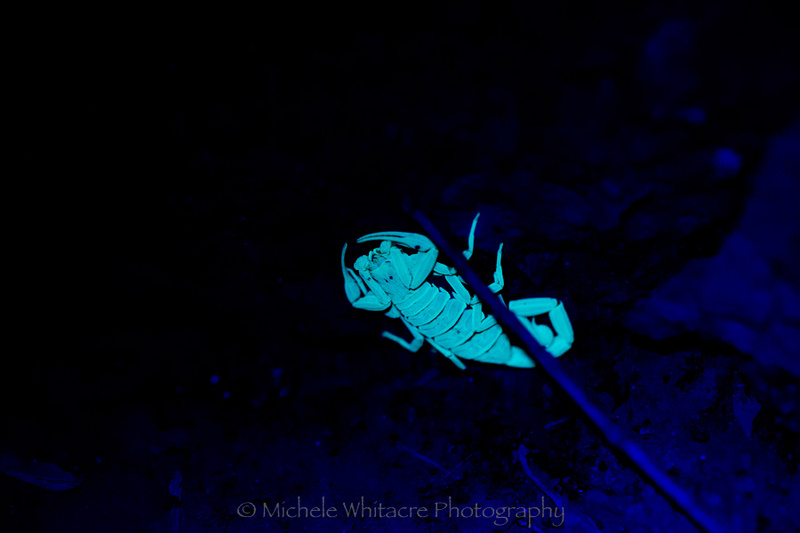 However, I do think there will be more macro shots making an appearance soon. We recently had new landscaping put in our front yard and I've been tossing around the idea of taking some macro shots of the flowers that are blooming, so stay tuned for those.